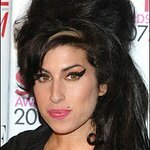 The Amy Winehouse Foundation has been chosen by eBay to be their Charity of the Week, starting from July 23, to mark the first anniversary of Amy Winehouse's death. From this date, until July 29, all purchases made on the online auction site will be eligible for a donation to be made to the Foundation. Official Foundation t-shirts and pin badges will be available to purchase, with a special disc frame commemorating Amy’s career up for auction. As well as these items, a select number of Mitch Winehouse’s best-selling book, ‘Amy, My Daughter’, will also be auctioned, all personally signed by the author.